We did it again. IS Architecture has won “Best Historic Remodel Kitchen Design” from San Diego Home/Garden. Your humble servant, Larny Mack provided the architectural photography. 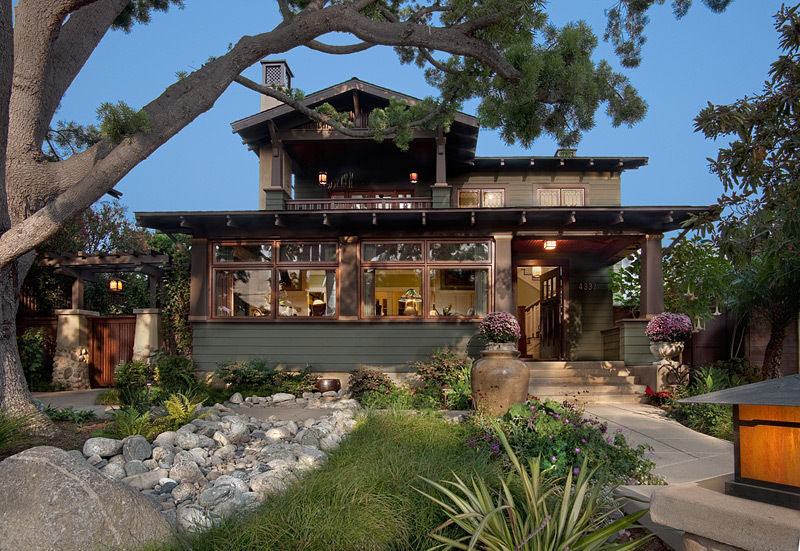 Situated in the historic San Diego area of Mission Hills, this incredible Craftsman style home has had Ione Stiegler’s able hand more than once. Led by project manager Joe Reid of the IS Architecture team, they designed a kitchen that causes you to be whisked back to the 20’s and 30’s. Of course we need to suspend some belief when we see the microwave and other 21st century creature comforts. The translations from blueprints to habitation were handled beautifully by Hill Construction. Finer craftsmen are hard to find. The big photo challenge for me on this project was creating images during the day with incredibly bright sun pouring in. This poses a real light balancing problem for rendering good detail and definition in the darker areas while still maintaining that feeling of sun only. These situations always require professional lighting and lots of it. In this case, I used strobes. Those are the bright flashy thingies that blind you. I won’t bore you with the details even though I explain it to my wife for hours on end (picture someone desperately looking for a window ledge). I believe I did rather well. Though the award was just for the kitchen, IS Architecture redesigned the entire home, Hill Construction (re)built it and Ta Da, I was the architectural photographer. Be sure to check out the entire architectural photography project, and don’t forget to take a look and my other San Diego Architectural Photography projects!